This example demonstrates the usage of annotations in order to configure Servlets. 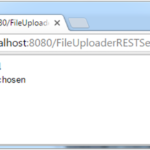 In our previous tutorials we used deployment descriptor (web.xml file) to configure our servlets. Since Servlet 3.0 you can use the @WebServlet annotation instead. 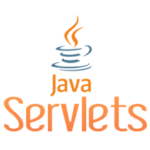 This annotation allows you to set several attributes to the servlet like name, URL and more. What’s the difference? Well, obviously the deployment descriptor is a separate file where you set configuration values in XML format, where the annotation is directly embedded in your source code. Use annotations if you prefer to have code and configuration at the same place for better readability. Deployment descriptors are the exact opposite – you separate code and configuration. This way you do not need to recompile the entire project if you want to change a single configuration value. For many Java Enterprise components there are both versions available – annotation or descriptor. But others can be configured either only with annotations or via the deployment descriptor. In case of Servlets you can choose one or the other method. Do we need web.xml when we use annotations? Java EE annotation, asyncsupported, deployment descriptor, failOnMissingWebXml, initparams, loadonstartup, maven, servlet, urlpatterns. permalink.